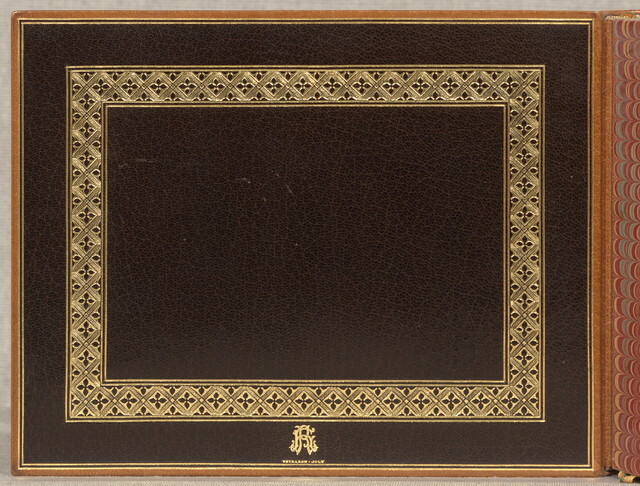 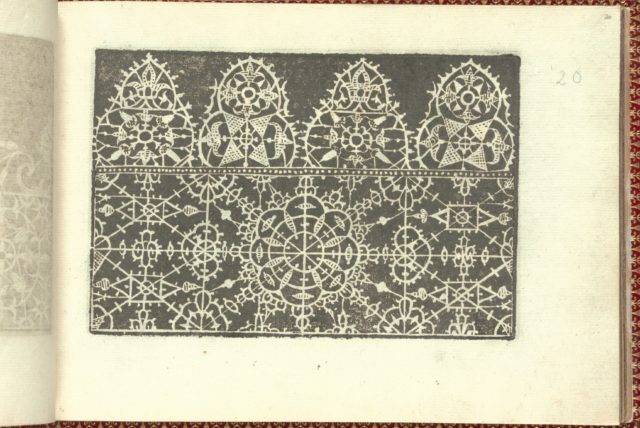 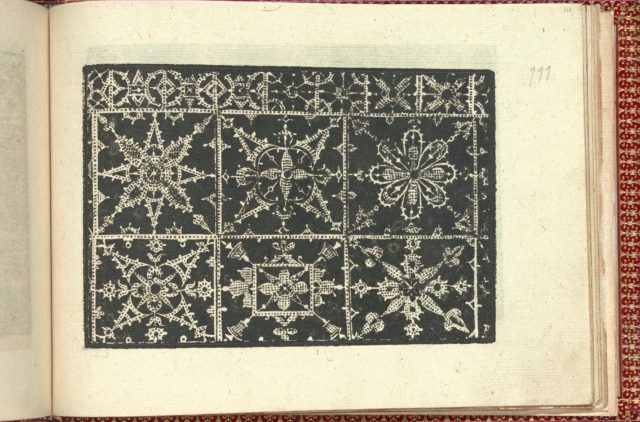 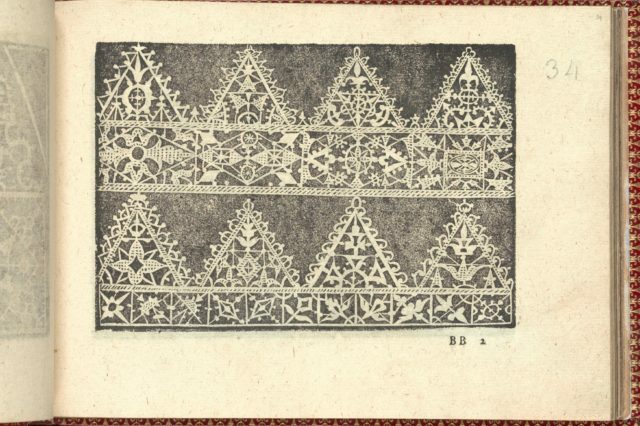 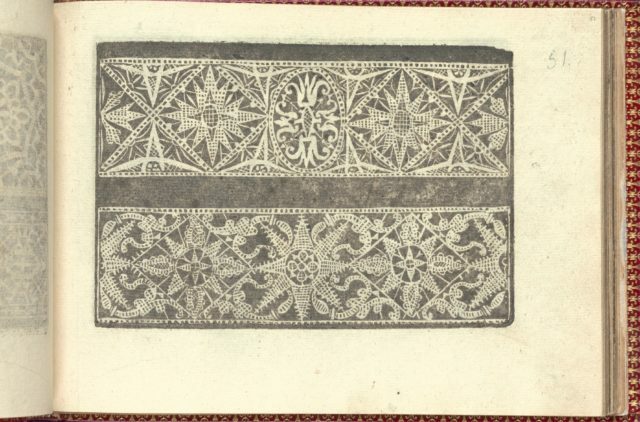 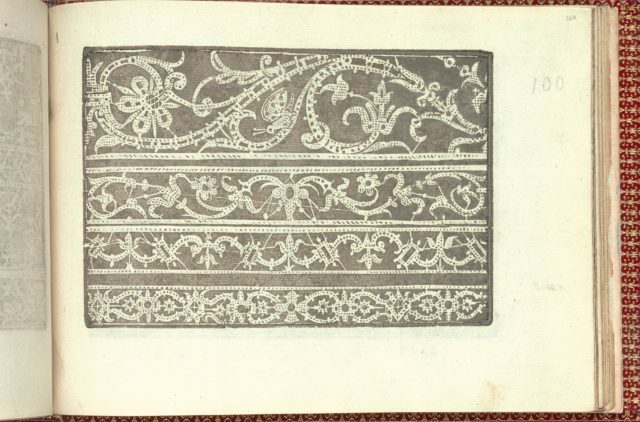 Published by Cesare Vecellio, Italian, Pieve di Cadore 1521-1601 Venice, Venice.From top to bottom, and left to right:Design composed of multiple sections. 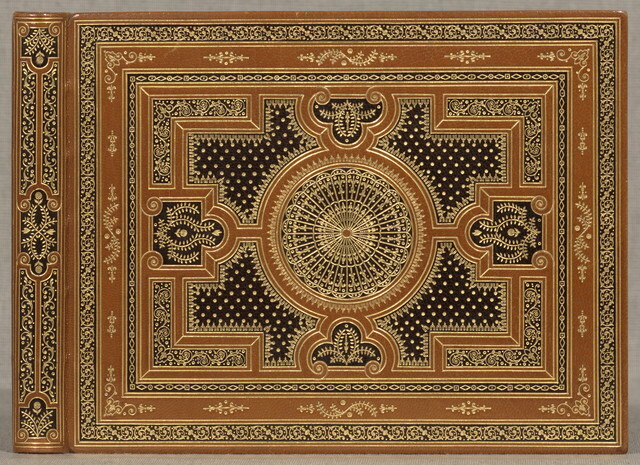 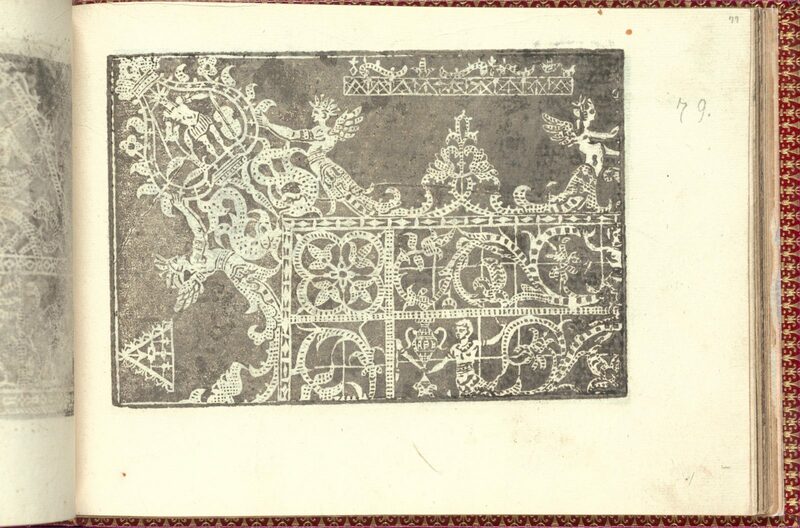 Decorating the top left corner is a large floral and figural element, which attaches to a rectangular base ornamented with different foliage patterns, one of which includes a figural representation. 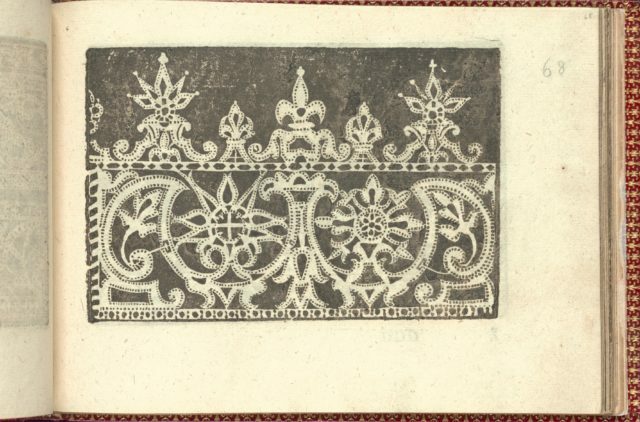 At the top edge (right of center) is a set of curving vines on top of an ornamented rectangular base. 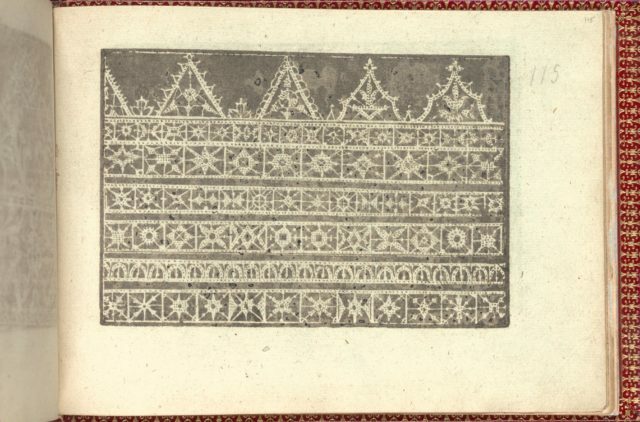 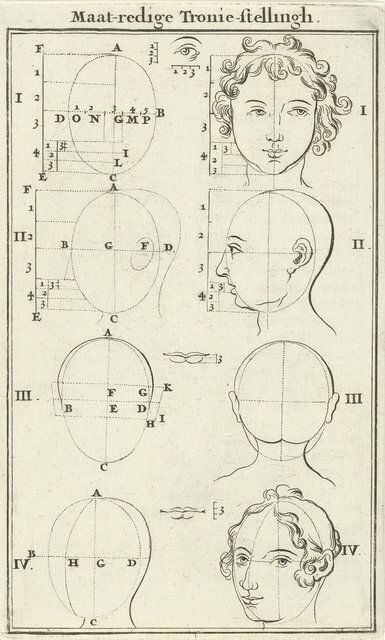 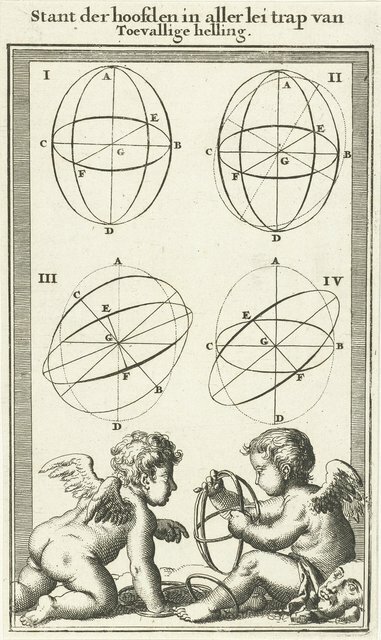 At the lower left corner is an ornamented triangle.